Keith "Keef" Hartley died of complications arising from surgery on 26th November 2011. When Ringo Starr quit Rory Storm and the Hurricanes to join the Beatles in 1963 Hartley replaced him, staying on in Hamburg to work with Freddie Starr and the Midnighters, returning to the UK for a short spell in the Artwoods before joining John Mayall's Bluesbreakers, playing with Mayall on "The Blues Alone", "Crusade" and "Diary Of A Band". 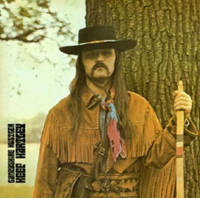 In 1968 he left the Bluebreakers to put together his own band, featuring singer/guitarist Miller Anderson, and recorded the classic "Halfbreed" album where he appeared on the cover in full American Indian dress. The Keef Hartley Band appeared at the Woodstock Festival of 1969 but their performance never made it into the movie, damaging their chances of Stateside success. Nevertheless, the band went on to release another four albums. Hartley later reunited with Mayall for the albums "Back To The Roots", "Moving On" and "Ten Years are Gone". Hartley disappeared from the music scene in the 80s, working as a cabinet maker and refurbishing studios, and wrote a biography about his musical career in 2007, but suffered constant neck pain and wore a brace, believing his injuries were caused by his many years of drumming. On his death, John Mayall said: When I think back to all the adventures we had over the years, both on and off the road, it seems hardly possible that my friend of so many years will not be showing up to sit in with any of my bands in the future. His sense of fun and love of life will always remain in my thoughts as special memories." RIP Keef Hartley.